Spellbound By Books would like to introduce Andrew Cotto, Author of The Domino Effect and Outerborough Blues which is due to be released later this year! Without further ado. Here are the interview questions!! 1. 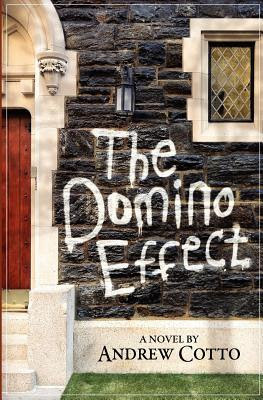 Where were you when the idea sparked for The Domino Effect? I was actually in college, during a summer break. I was living in Boston and went on a date to see the film "Do the Right Thing." It was in an out of the way theater in a pretty bad neighborhood, and my date had driven us there in her shiny sports car. I was so stunned leaving the theater, thinking about how the events had affected me, how they sent my emotions spinning in a myriad of ways, that I didn't even bother to help my date deal with the fact that her car had been stolen (it also had a diamond ring - a family heirloom - in the glove compartment). So, while she went crazy, running around the parking lot, screaming for the police, I sat on the curb and started thinking about being a storyteller, and the events that came to me right then and there were memories of the ethnic conflict in my cousin's neighborhood in Queens...which is where THE DOMINO EFFECT begins. Of course, it was many, many years before I actually began writing the story, but it began that day. And, needless to say, that was the end of my relationship with that girl. 2. What was the easiest and hardest part of writing this? The easiest part of writing Domino was coming up with the characters. I'd lived so many places in my life, places that were pretty distinct from one another; it was fairly easy to pick people whom I've known to base (usually quite roughly) the characters upon. In fact, I was able to create composites of numerous people I've known + a very healthy dose of my imagination. That part was easy and fun (the exception to this was Danny, but that's another story). The hardest part was figuring out the narrative. I had characters and setting in place early on, but plot is hard. Of course our own narratives seems interesting to us, the writer - we're the ones creating it, we're invested (it's like watching your kid plays sports - he/she is always the best one out there...), but to imagine how an audience might react to the events is challenging. It takes practice finding the right set of events, and, believe me, I took a lot of shots at it - changing things probably 10 times before I finally got it right (at first, Terence was the main character, with Danny as a Nick Carraway-like narrator). And to finally get it right took all those plot reconstructions, a workshop at The New School, a paid consultation, one agent, and then finally some solid brainstorming with my second agent (Jennifer Carlson of Dunow, Carlson & Lerner). 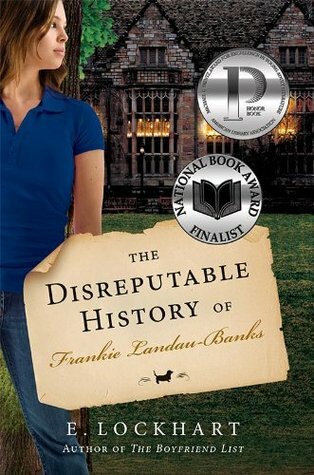 The final piece of the puzzle was Jennifer recommending that I read The Disreputable History of Frankie Landau Banks by E. Lockhart, which gave me the idea to make Danny a prankster. Publishing a book was far more work than I ever expected it to be. That said, the pride I feel is vast because of the amount of work I put into it. I take more from the perseverance than anything else. My children are proud (I gave my daughter a redacted version of Domino for her 10th birthday, and my son, who is five, always asks when he can read it). I'm not surprised by this fact, but I'm truly grateful for all of the support from my family and friends. It's been fun for all of us, something to talk about and use as an excuse to get together and party. The love and support makes it all worth it. 4. If your book was turned into the movie who would you pick to cast as Danny? I do most of my work at home at a desk in my bedroom (not picture worthy), though I can focus anywhere with a computer and privacy. What I could never (ever) do is write at a coffee shop. I don't know how people get anything done, though I admire that they can. 6. Do you have a routine/quirky habits that help you to write? I like to check my e-mail and browse the New York Times website for I begin writing. This way, I know nothing more important is going on in the world. Then I can write without distraction. 7. What would be your all time favourite book and/or movie and why? 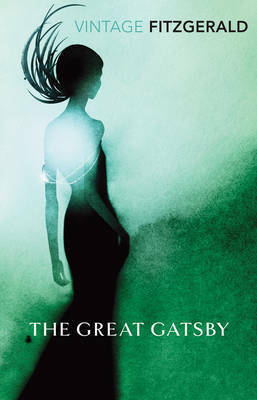 I love The Great Gatsby. I've read it countless times and, above all the other wonderful attributes of the book, the narrative voice never fails to floor me. ...teaching (a lot) and spending time with my family. We love food and wine and company (wish we had more time for all three). 10. Is there a question you have always wanted to be asked but haven’t? What would your answer be? I'm happy to be asked anything. 11. Are there any tips/advice/reading material you would like to share with aspiring writers? Aspiring writers, obviously, need to write all the time, but they also need to share. Join workshops. Form writing groups. Take classes. It's a solitary act that needs outside input. Be brave. Take shots. Find mentors (avoid friends and family for feedback). Learn to use the criticism that resonates and toss out the rest (which will be the bulk of it). Also, writers need to study craft. There are a ton of books on writing by writers (I like The Modern Library Writer's Workshop by Stephen Koch). Read them carefully, like training manuals. Also, read story with great care. Read with a pen and mark down all the passages/plot movements/verbs/whatever-moves-you. Keep track of these things and allow them to inspire your own work. Don't steal. Borrow. Artists borrow from other artists. So, borrow. If you do it well, someone will certainly borrow from you. 12. You’re hosting a party in which you can invite anybody you like, (No limitations here, dead alive mythical etc) What theme would it be? Who would you bring? How do you think the night would turn out? Wow. I could do a lot with this question, but for simplicities sake, I'd recreate the party I had last year for the release of Domino. It was at a performance space in Brooklyn, and about 100 of my closest friends and family were there. After I read, two of my favorite bands played while we hung out at the bar. It was so much fun and the only way to top it would be by having my mother there, sipping martinis. That would have been perfect. And if Muddy Waters showed up, that would have been OK, too. I'd like to say a big thank you to Andrew for taking the time out to answer my questions! You can visit Andrew at www.andrewcotto.com, follow him on twitter, and on facebook!